McKinney Heating & Air Conditioning, Inc. is proud to serve the Brasstown community! About Brasstown, NC - Happy to be your hometown Heating & Air Conditioning Contractor! Brasstown is an unincorporated community found in Clay County, North Carolina. Located in the far western portion of the state, Brasstown is about 350 miles from the capital of Raleigh. In fact, the community is much closer to the Atlanta, the capital of Georgia, which is only a two hour drive south. Brasstown is located just north of the Georgia border and the Chattahoochee National Forest, and it is situated just east of the Tennessee border and the Cohutta Wilderness Area. 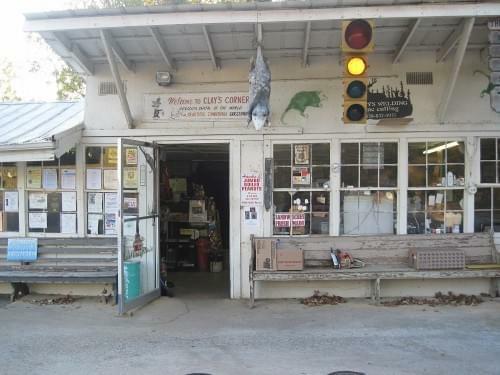 Each December, Brasstown residents ring in the New Year with the Possum Drop held at the historic Clay’s Corner convenience store. Instead of dropping an object when the clock strikes midnight on New Year’s Eve, a Plexiglas box with a live opossum is lowered from the store roof. This is done carefully so that the opossum is not injured, and the animal is then released back into the wild. Fireworks, bluegrass music, food, and a “Miss Possum Queen” pageant are also held at the event. Brasstown is also home to the John C. Campbell Folk School. This nationally recognized school has been listed with the National Register of Historic Places since 1983, and it is committed to preserving and nurturing Appalachian Mountains folk art. This Folk School offers classes all year in contemporary and traditional arts, including music, dance, blacksmithing, writing, and cooking. Homeowners in Brasstown will need to invest in both home heating and cooling systems in order to stay comfortable throughout the year. Although the area is part of a humid subtropical climate zone, the elevation of the region results in winters that are cooler than other parts of the Southeast. Temperatures will fail to reach the freezing point several days each winter, so a furnace or heat pump is needed to prevent pipe work and plumbing from freezing. During the summer, residents will turn off their furnace in favor of an air conditioner in order to stay comfortable when hot and humid conditions see thermostats rising to over 90 degrees.